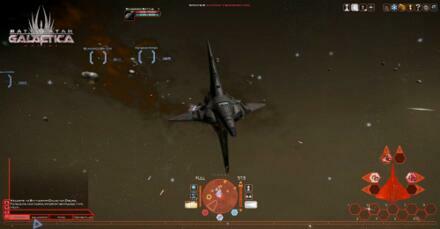 Developed by Bigpoint for internet browsers, Battlestar Galactica Online (BSGO) is a free to play browser MMORPG which puts you in the cockpit of a spaceship as human or Cylon to join the battle between man and machine across the galaxy, with intense space combat and cutting-edge 3D graphics. There are multiple ships to command, with a huge variety of upgrades and customisation choices. Also, varied progression options that offer the freedom to create your ideal Battlestar Galactica character. It features action-packed tactical space combat with a huge range of offensive and defensive systems, a strategic battle for resources and territory between Human and Cylon players raging across dozens of star systems and story-based missions that delve into new aspects of the show’s universe.